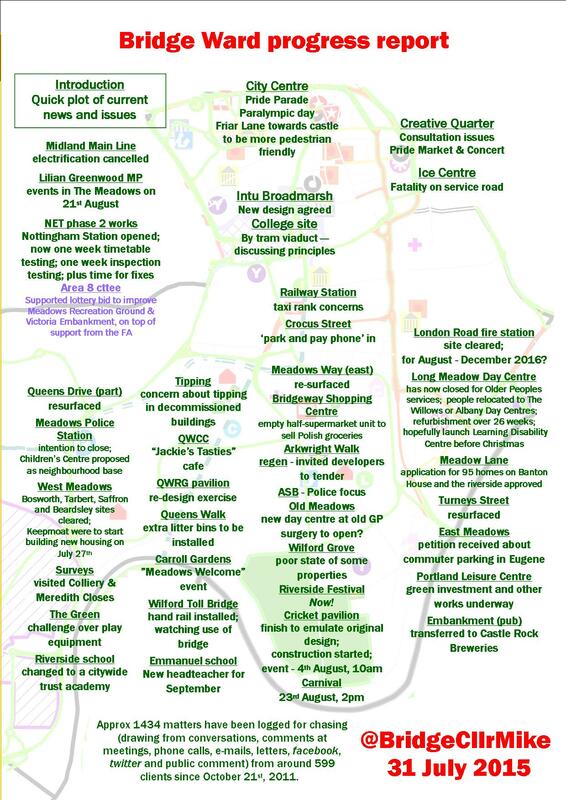 Some great events, especially of Saturday 25th. Case number is circa 1434, serving around 599 clients. 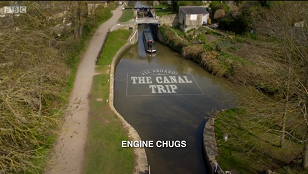 Mis-managed my sleep and fell asleep during a worthy programme on the Lake District; imagine my confusion waking up to “All Aboard! 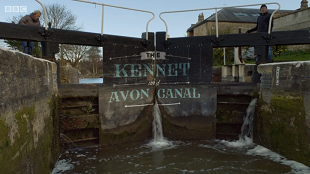 The Canal Trip” – soundtrack of babbling water to pictures of a journey along a canal. Of course, it’s better than that, and I missed its initial broadcast (just before the election) when the reviews came out. The Independent reviewed the reviews – with the mix of “boring” and innovative. It’s unrealistic cos you don’t hear the boat – and so this sensation of low-level flying is developed; a kind of flying that seems faster than the actual 8 miles covered in 2 hours in a single unedited shot. An event to welcome newcomers to The Meadows, held at Carroll Gardens, off Queens Walk. 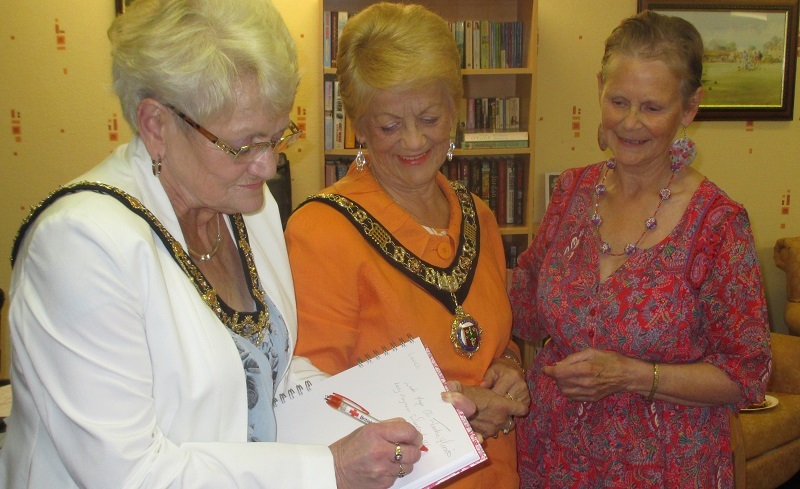 Cllr Jackie Morris, Lord Mayor launched the event. The singers who meet at the Queens Walk pavilion sang “Eidelweis” and left people pumped up and ready to hunt some Nazis to kill. I enjoy this BBC tv quiz series anyway, but this episode was special as I have met one of the contestants. Indeed, its transmission has been in my diary, and was rewarded when my acquaintance / facebook friend won the quiz with “Euphonium”. The first three rounds are usually good, with the answer to one of the questions in this episode being “Deal au Noh Deal”. I find the fourth round (missing vowels) undermines the effort made in the previous three. 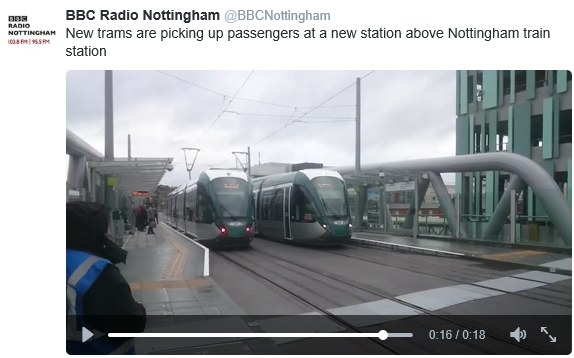 The tram stop for Midland Station has now moved rom by Trent Street to above the platforms. 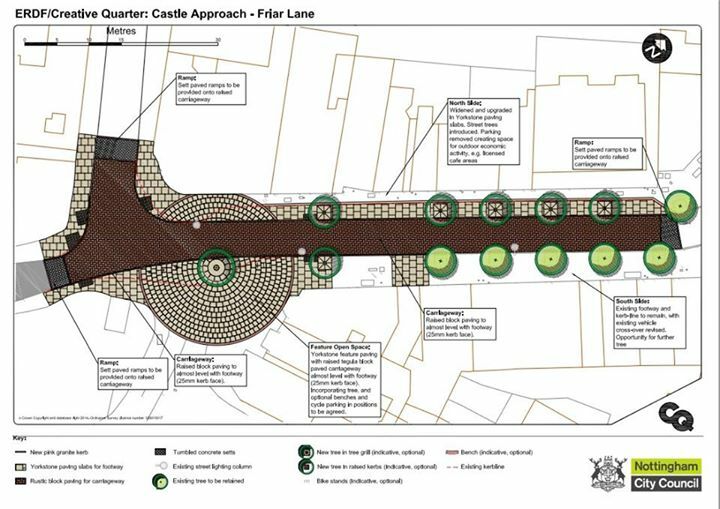 Meanwhile, works for a new approach to Nottingham Castle from Maid Marion Way along Friar Lane has begun. The famous 1945 victory, cited recently as potential inspiration to win again on a radical programme, here remarked upon on BT website. Mistake the article makes is to ignore how the experience of the war – people being more equal in action and having confidence in planning working – were important. Social changes rather than a simple commitment to a welfare state. 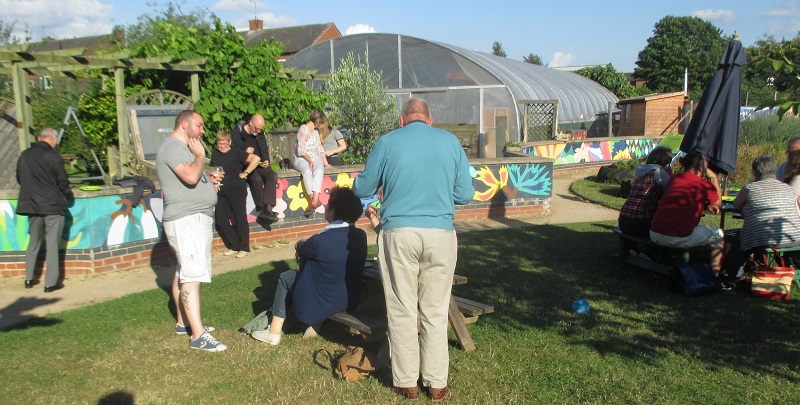 Thanking members at the tranquil Arkwright Meadows Community Gardens.